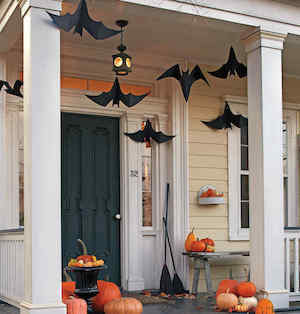 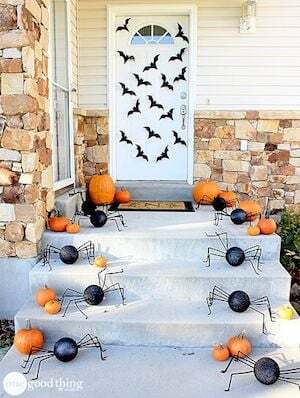 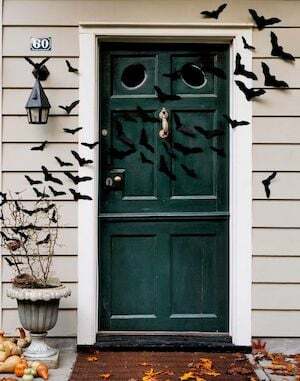 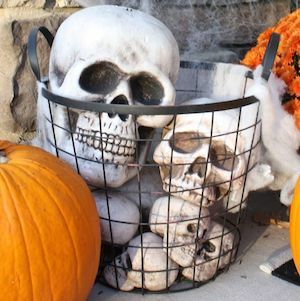 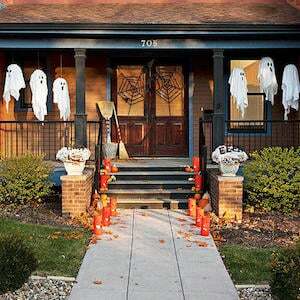 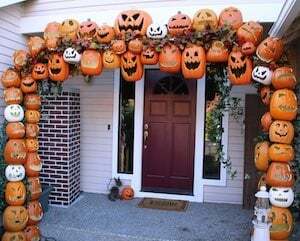 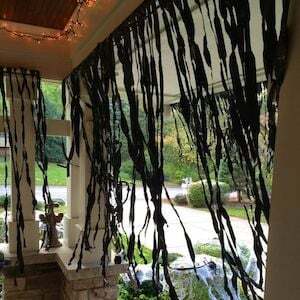 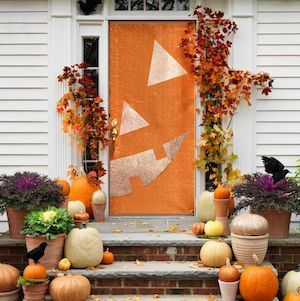 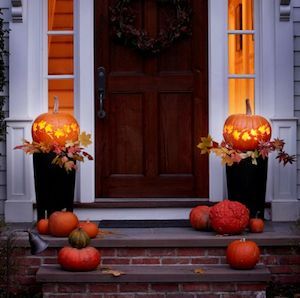 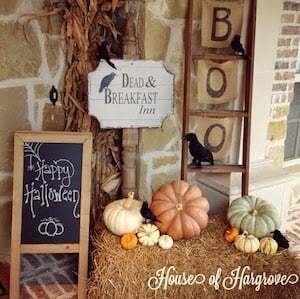 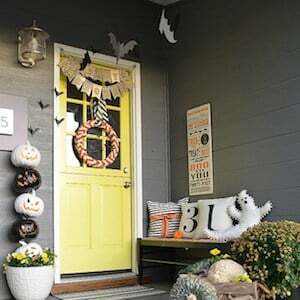 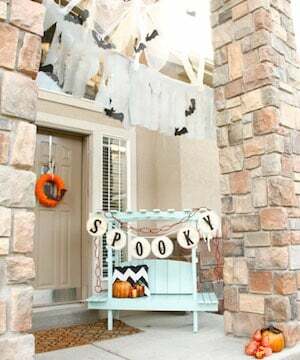 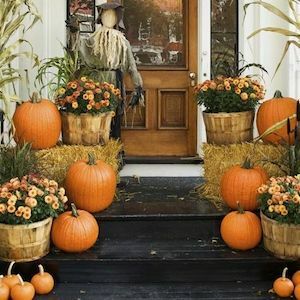 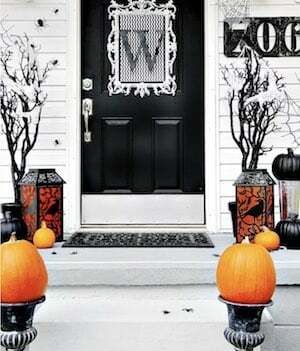 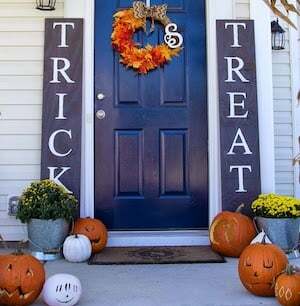 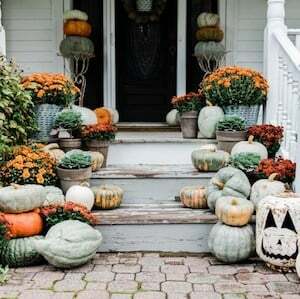 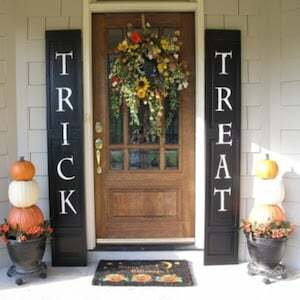 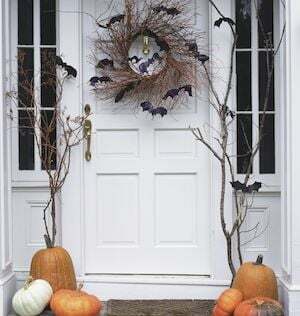 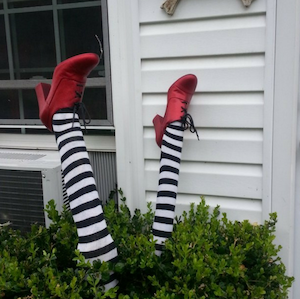 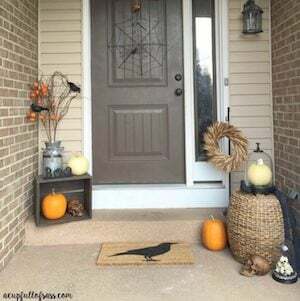 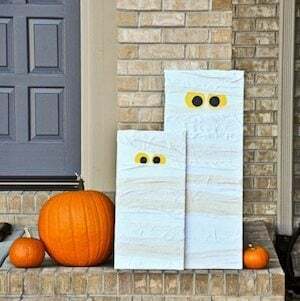 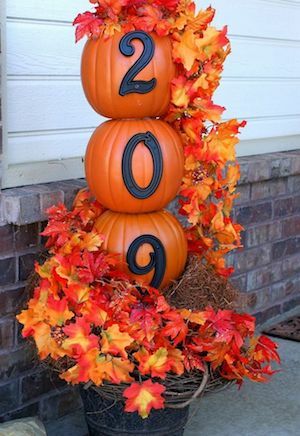 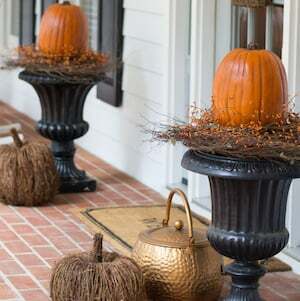 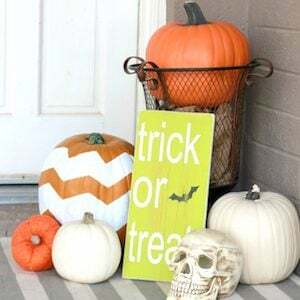 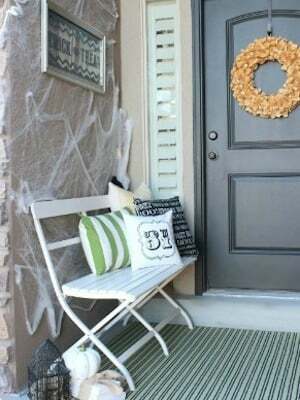 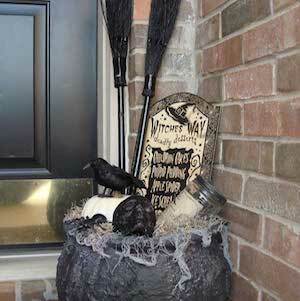 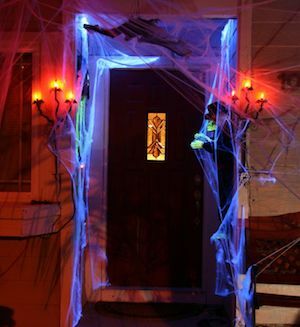 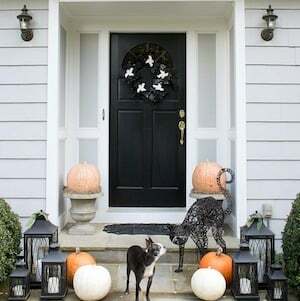 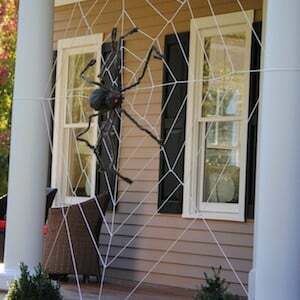 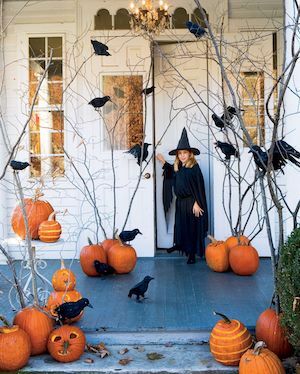 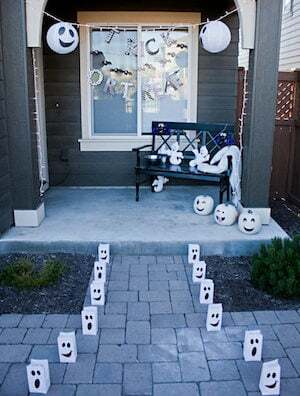 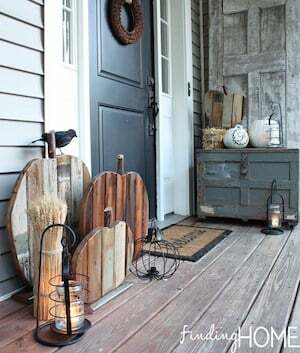 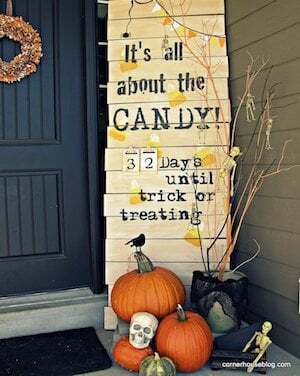 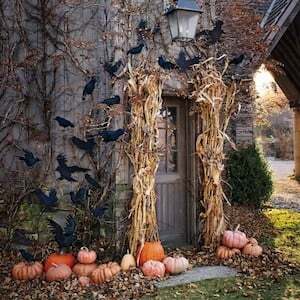 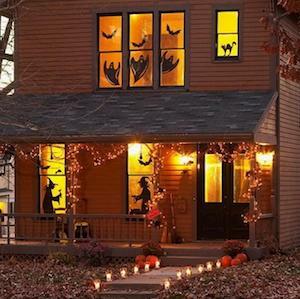 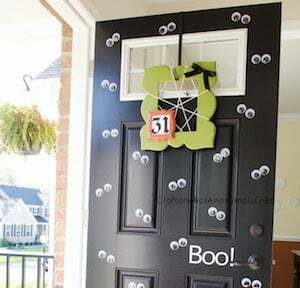 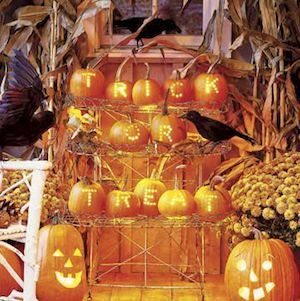 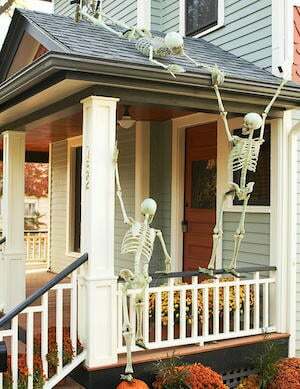 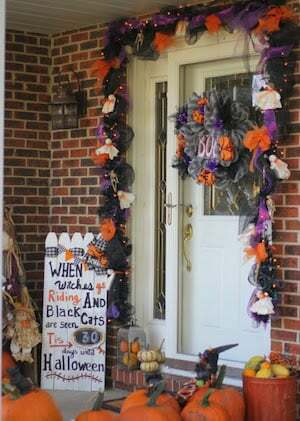 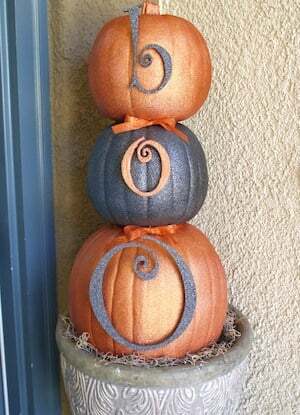 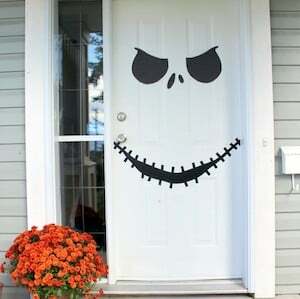 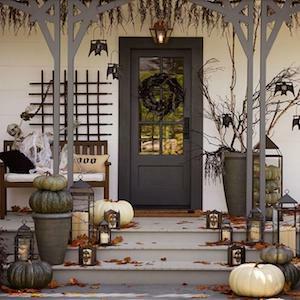 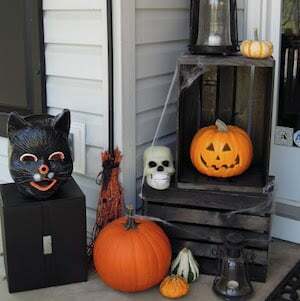 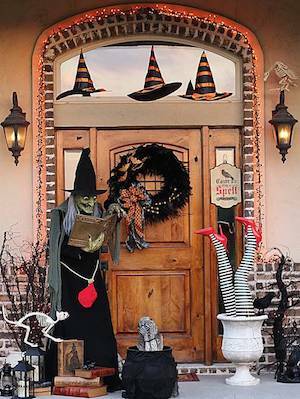 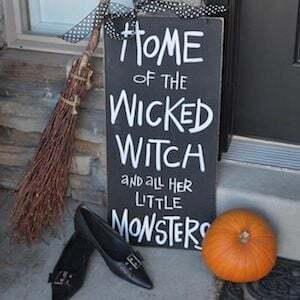 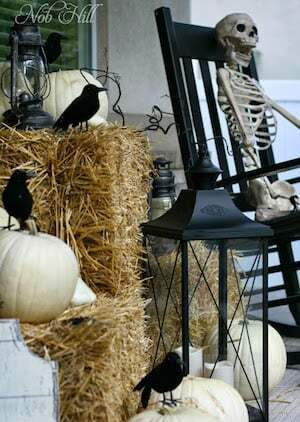 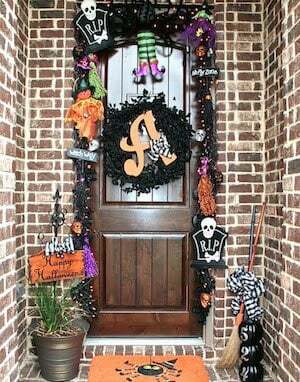 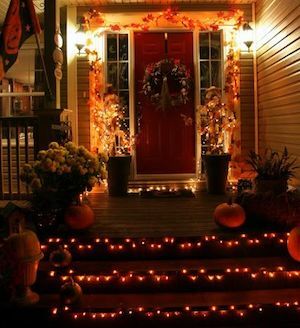 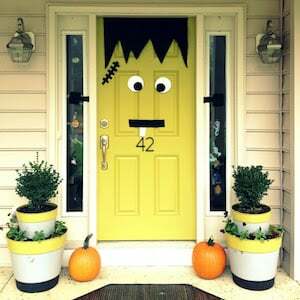 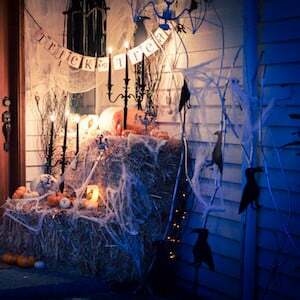 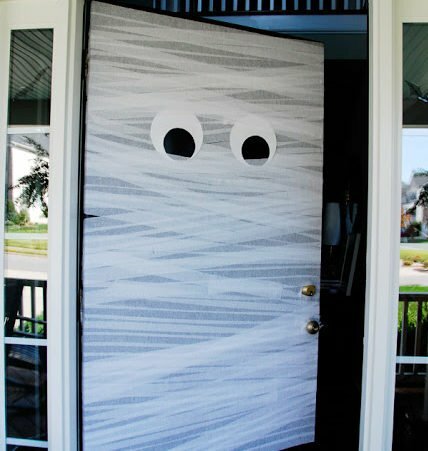 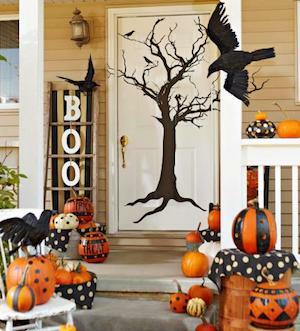 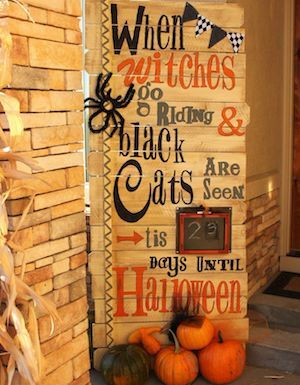 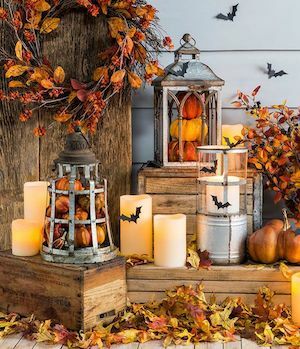 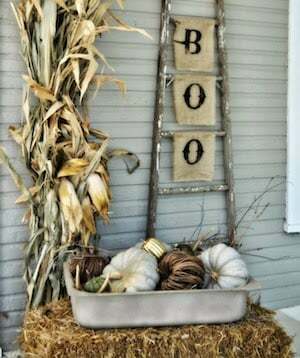 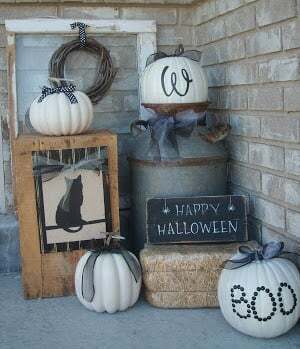 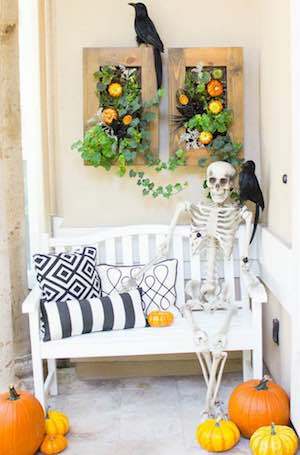 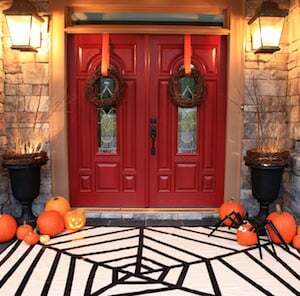 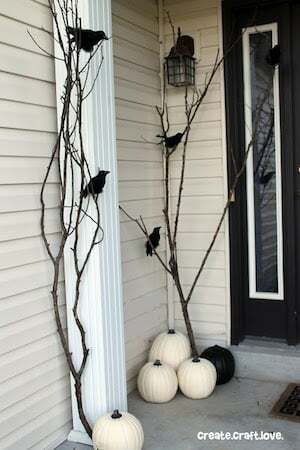 Dress up your porch for Halloween with these creative and spooktacular Halloween porch decor ideas, which include ghosts, spiders, crows, skeletons, witches and much more! 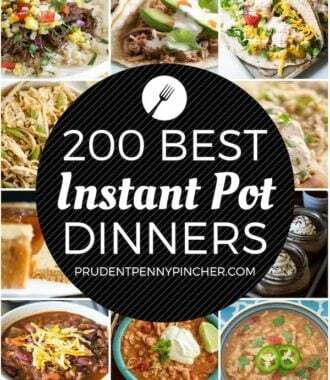 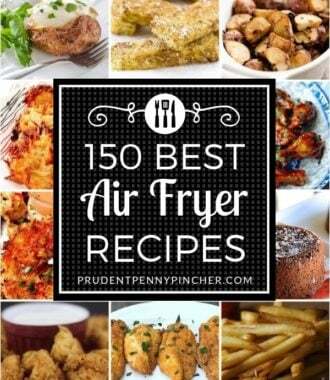 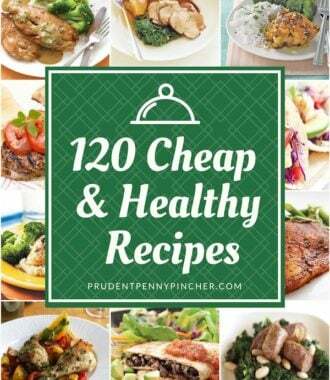 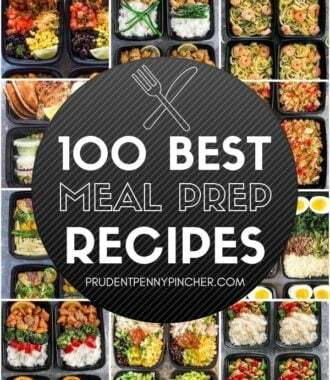 There are over a hundred ideas to give you inspiration. 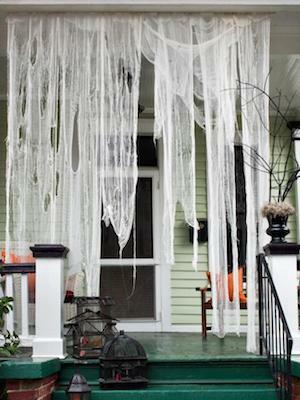 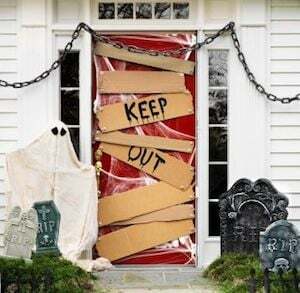 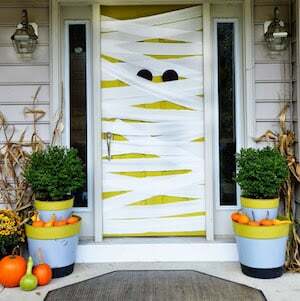 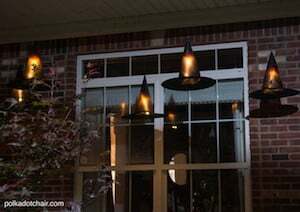 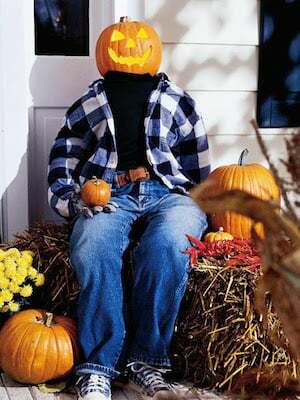 These eerie and cute Halloween porch decorations will definitely impress your neighbors and trick-or-treaters. 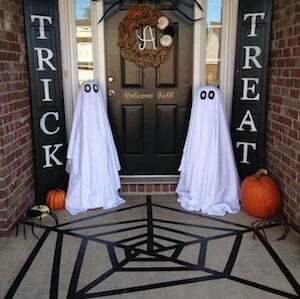 Here is a tutorial for how to make the ghosts. 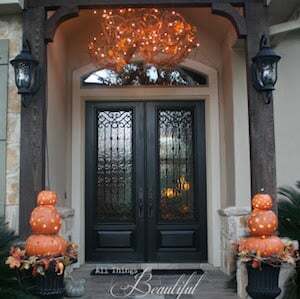 This one is a lot of work and very expensive, but definitely looks cool. 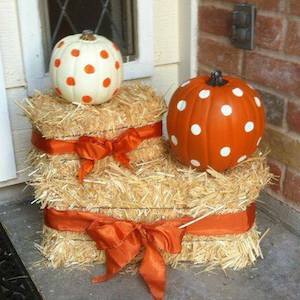 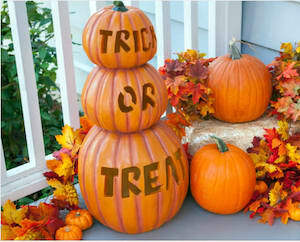 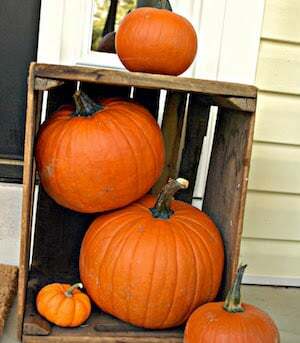 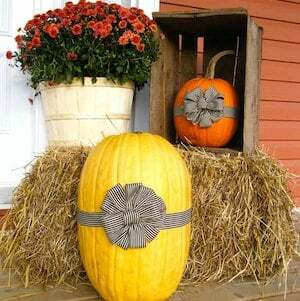 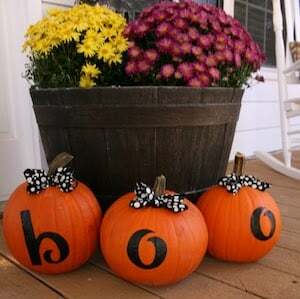 Maybe if you got the faux pumpkins after halloween for 75% off, it wouldn’t be too expensive! 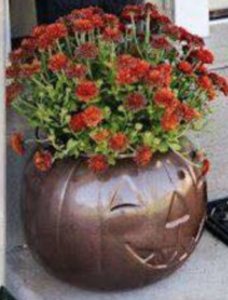 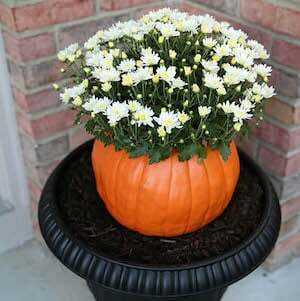 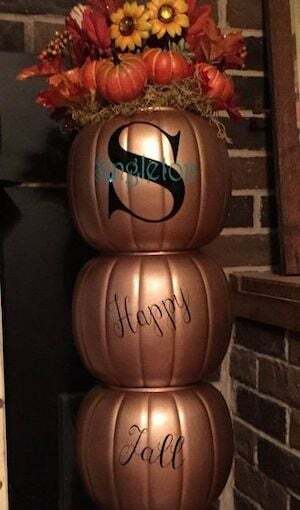 jack o lantern treat pail, spray paint, mums (about $5 at Walmart).